What&apos;s a Trench? - History and Types of Trench - A.N.G.E.L.O. Humans' most natural skill is finding always the bright side in everything. Take autumn: even in those gloomy, dark and rainy days we are able to enjoy the little pleasures. One of them is finally wrapping yourself into a classy trench. 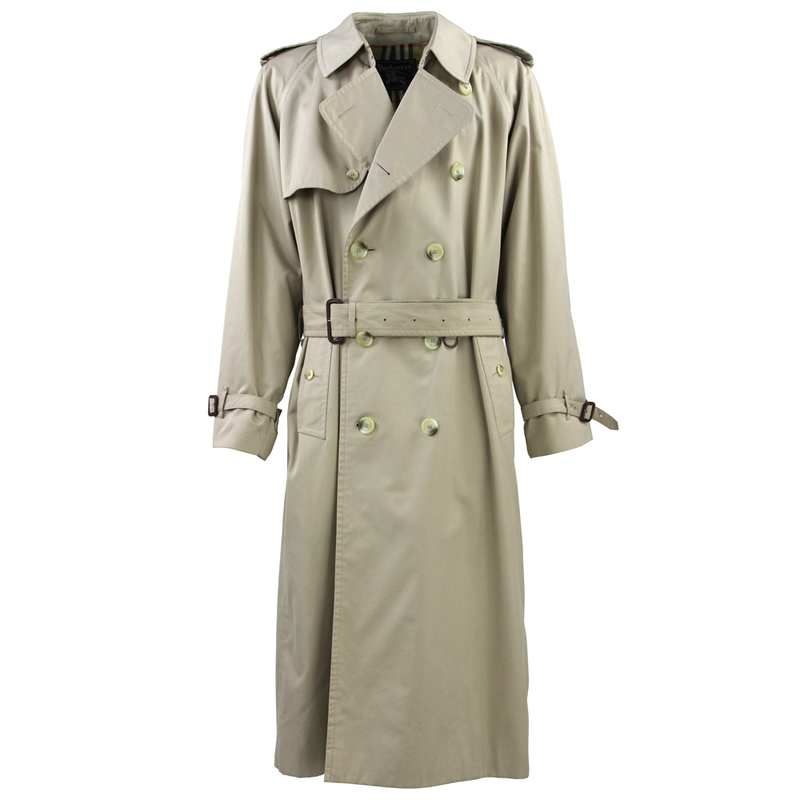 A trench is a raincoat with a belt, neither too light nor too heavy, ideal for the autumn and spring temperatures that open to chilled walks outside and slow after-work cocktails in the city. 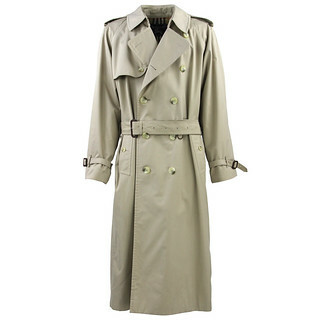 Its exquisite craftsmanship and comfort make it a timeless outerwear classic, so much it is hard not to find it in the fashion professionals' selections of wardrobe essentials for men and women who love dressing well. 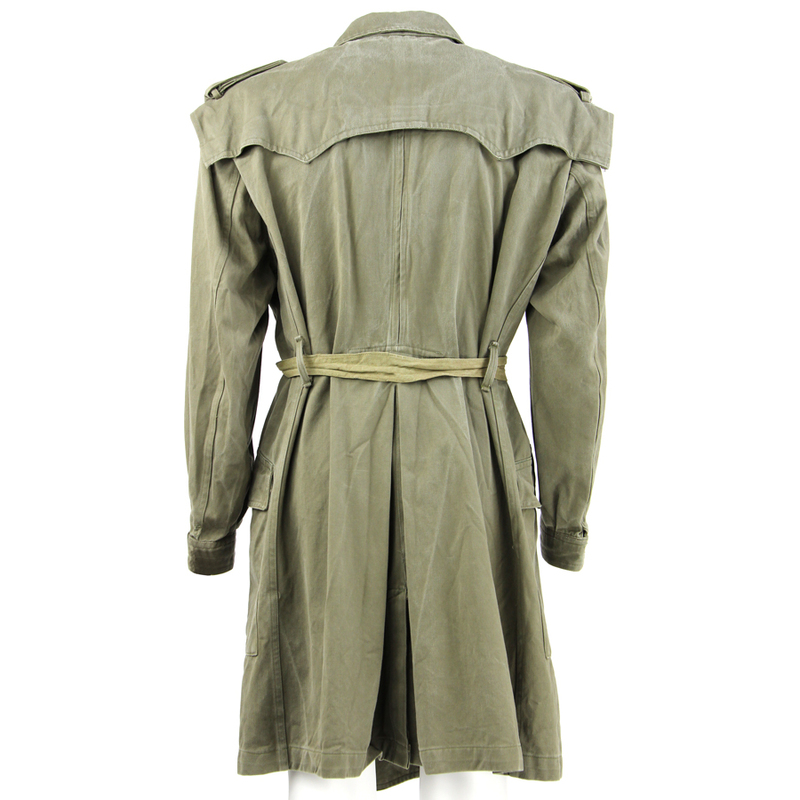 Though it can proudly boast the allure of the most elegant clothing pieces, the history of trench is just as intriguing and daring as an adventure novel. In fact, the early versions of trench were created for army soldiers for merely functional reasons. In the early XIX Century, quality weather and waterproof fabrics that made the sweat get out didn't exist. A sir named John Emery of Mayfair, then founder of Aquascutum, consistently improved the water resistance of the first men's raincoats' by creating the so-called "wrappers". Still, these clothes were too heavy. 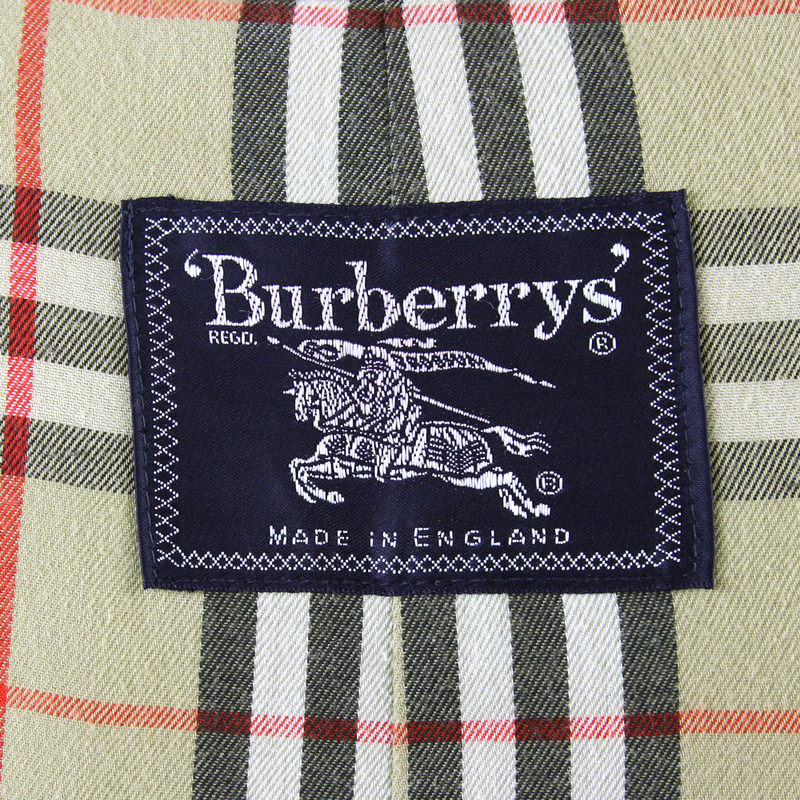 In 1879, Thomas Burberry, after seeing lanolin-coated smocks on shepherds, had the intuition to create the "gabardine", a fabric where individual yards where coated with waterproof material before being woven. 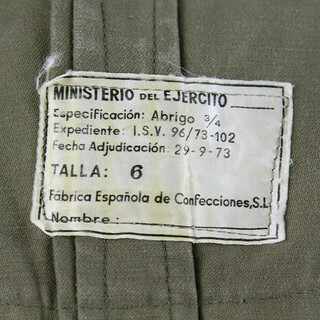 Since the coating wasn't applied on the entire fabric after being woven, not only the gabardine was waterproof, but it was also much more breathable and fresh. 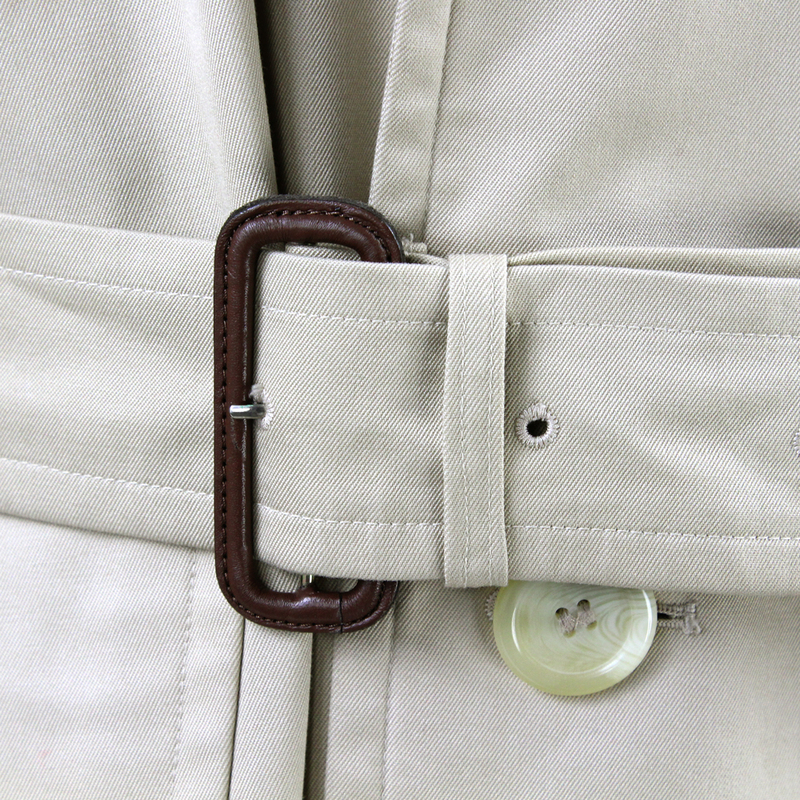 Still today, gabardine is the fabric to use when creating a trench. The birth of trench as we know it, however, dates back to the I World War. 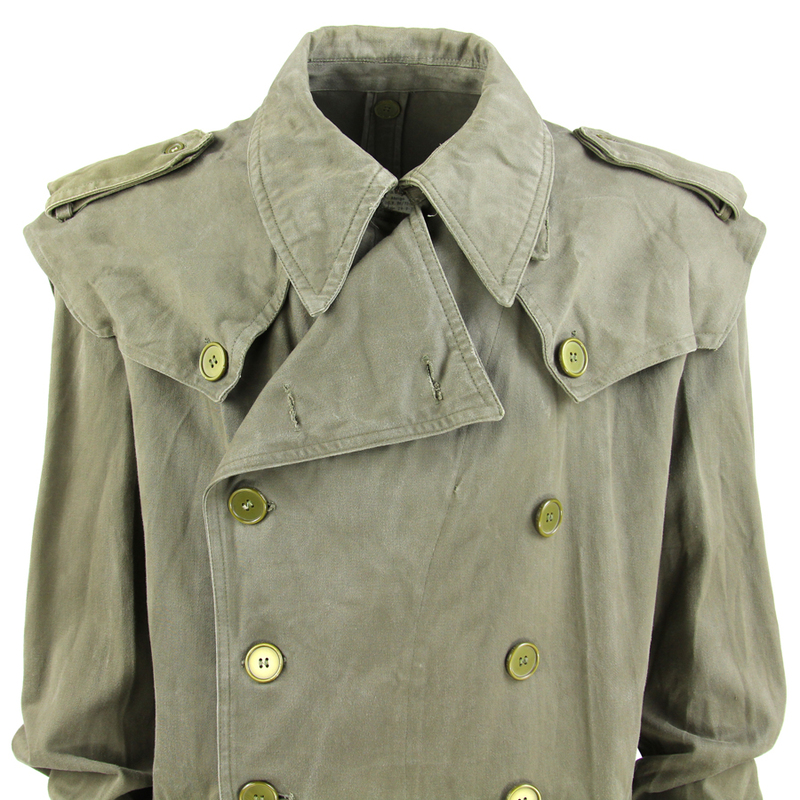 In fact, the name "trench" comes from the excavations in the ground where it was worn the most: wool coats were definitely inappropriate for fighting in water and mud for months. 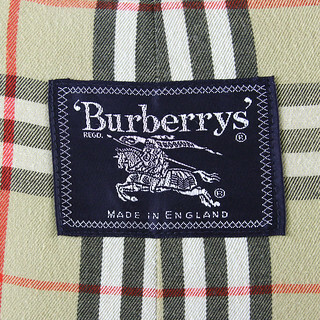 Burberry and Aquascutum got into a competition for the most innovative model: on one hand, Burberry started producing the Tielocken, a khaki gabardine raincoat for a better camouflage; on the other, Aquascutum produced blue and grey gabardine jackets of different lengths that were very much appreciated by several people within the army. 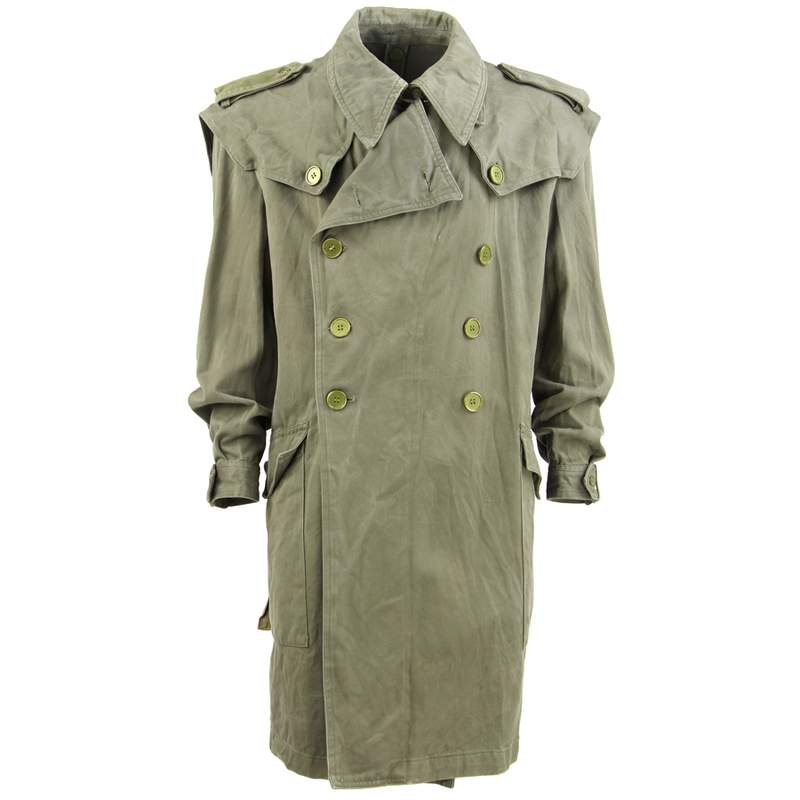 Recalling the charm of rich military officers, the trench was associated with high standard meanings and social statuses: it has become synonyms with elegance, power, skillfulness and knowledge, accessible to the most aristocratic women as well. 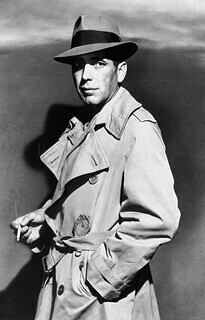 Cinema understood its magnetism and played with its glam and intellectual appeal: Humphrey Bogart would wear a trench fascinatingly and mysteriously in Casablanca (1942), as well as Peter Sellers, smart and fun in The Return of the Pink Panther (1974), but also beautiful women such as sensual Marlene Dietrich in A Foreign Affair (1948), timeless Audrey Hepburn in Breakfast at Tiffany's (1961) or glacial Catherine Deneuve in Mississippi Mermaid (1969). Meryl Streep shows it off with the same proud nonchalance in Kramer vs. Kramer (1979) and in The Devil Wears Prada (2006). 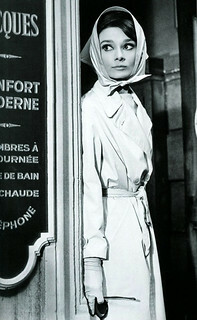 Why did the trench become such a timeless classic if it was created for non-fashion-related aims? 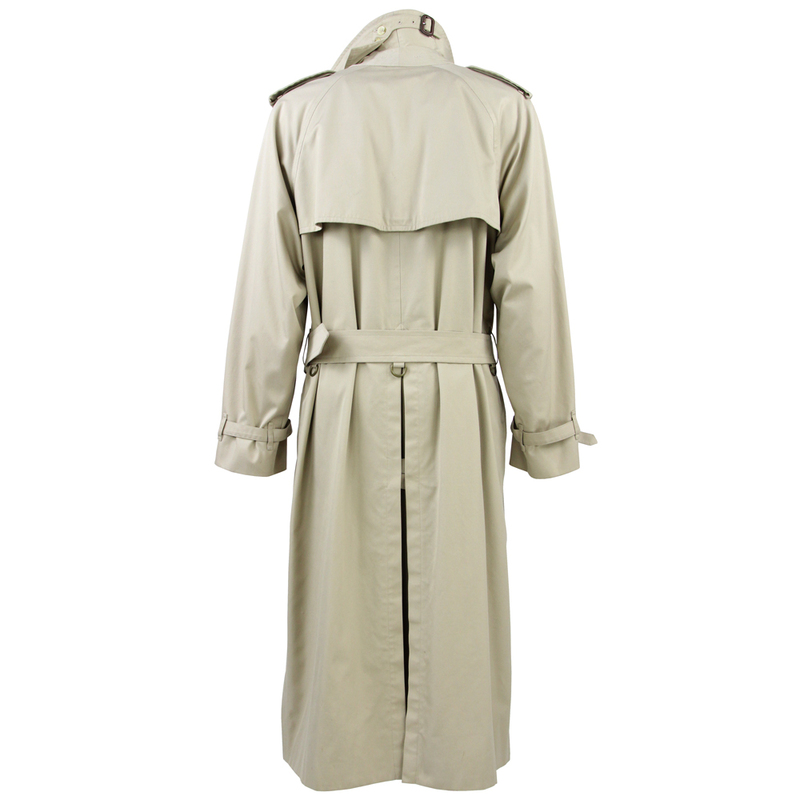 We explain that as follows: the trench combines the functional need of protecting yourself from bad weather (both real and not) with the aesthetic and conceptual value of wearing a perfectly designed garment that makes your posture appear proud, distinguished and elegant. 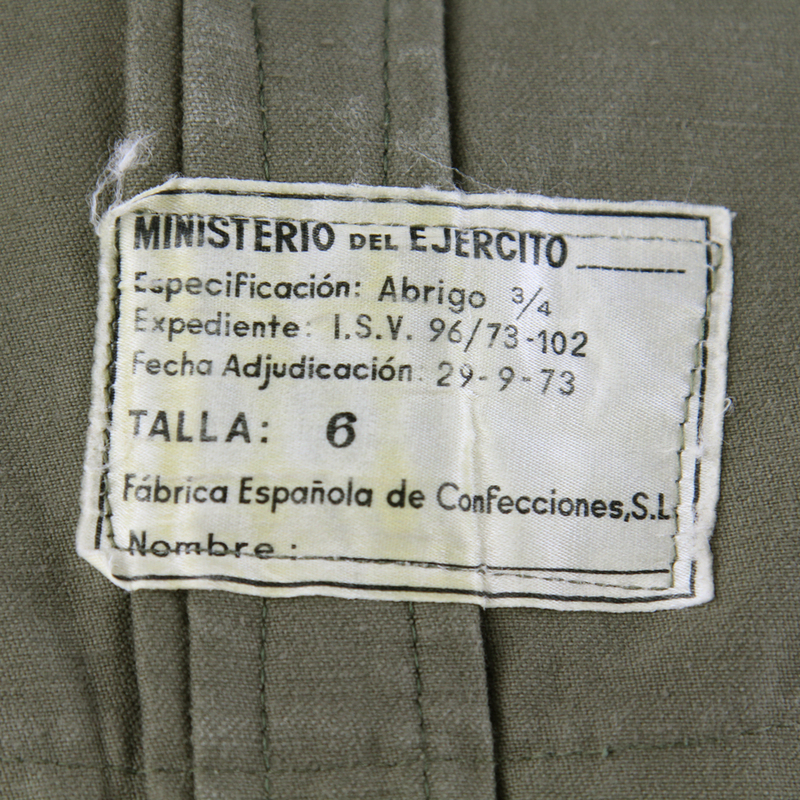 It still is a chameleon-like clothing piece that changes depending on its owner in details such as colour, pockets, buttons, lining and collar. 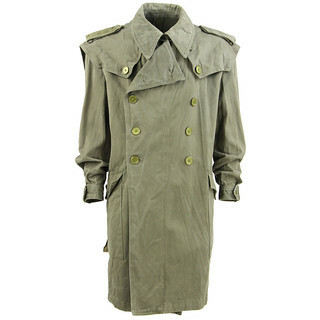 It can be worn by a prince like Charles or Harrison Ford in Blade Runner (1982) as well. Burberry even launched a campaign, in 2009, named The Art of Trench, where people were invited to submit their pictures wearing a trench on social networks. The campaign was successful as it encouraged creativity around a classic. The trench can be within the reach of everyone, just like elegance and kindness. The history of trench itself teaches us that something beautiful can rise from difficulties. 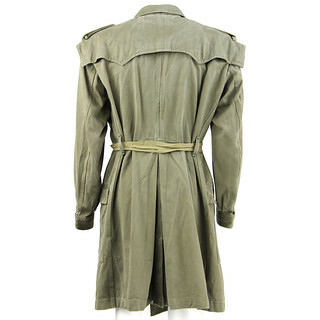 A vintage trench's quality and design are without equal: they stand the proof of time, beautiful and nonchalant like a piece of art. 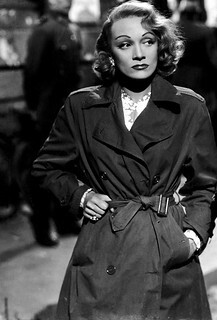 Face autumn gracefully and look for the perfect trench through our exclusive selection of unique vintage pieces in our boutique and in our online store. Are you ready to find The One?